1 This product is a variable rate line of credit that is secured by primary residence. This account includes a fixed rate option. 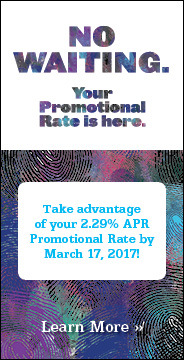 This rate may vary, but once established as a new Fixed Rate Advance, will not vary thereafter. A $50 rate lock fee applies each time you establish a Fixed Rate Advance. Borrower must pay mortgage satisfaction fees at loan termination.